Bioluminescence game, in exhibit space. 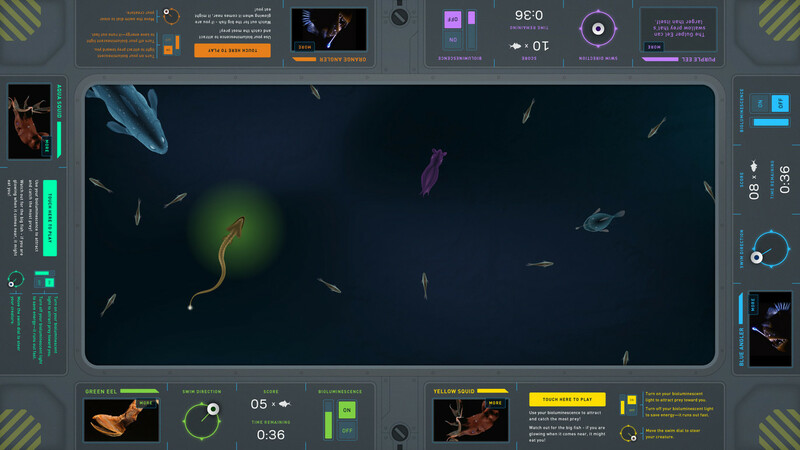 Users can turn their bioluminescence on to attract prey. Bioluminescence also attracts predators too. Illustration set created by Steven Henry for use in gameplay. 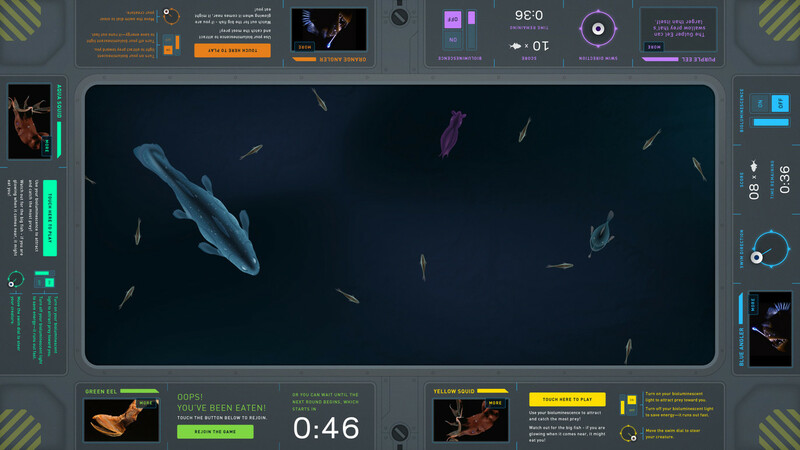 In collaboration with EMP Museum and Twentieth Century Fox, Belle & Wissell designed and developed a touch-screen game, to provide a deeper understanding of bioluminescence—a natural occurring characteristic we find on earth that is used widely in this science fiction epic. 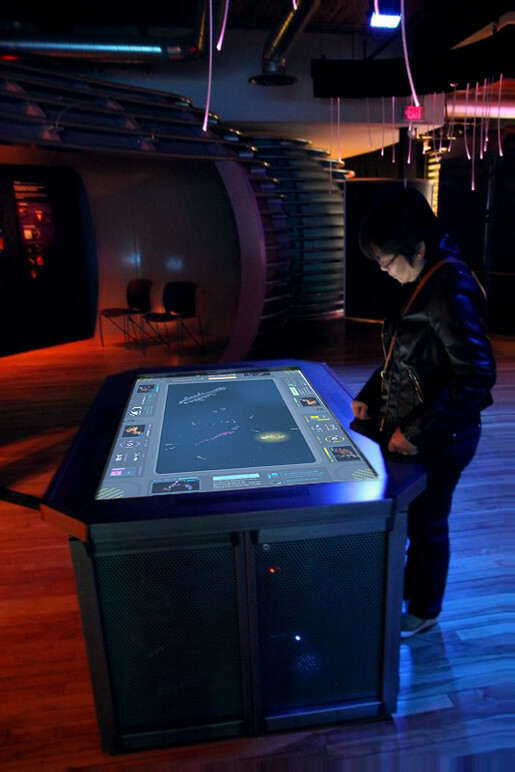 The 60-inch, multi-touch (multi-player) touchable is designed to travel with “Avatar: The Exhibition” as it tours various institutions in the U.S. and Canada. The table can accommodate up to 6 players at a time, with a unique color to represent each console. 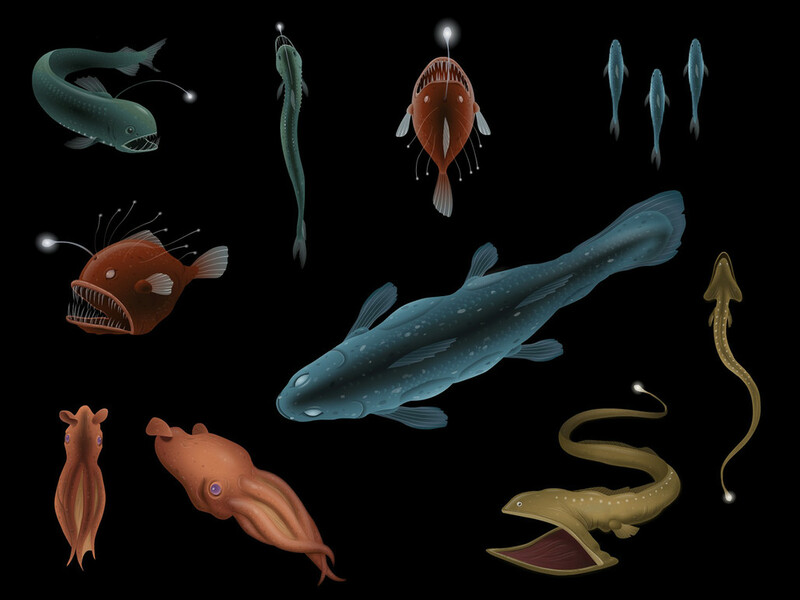 Each station is assigned a specific character based on real deep sea creatures, and users can learn more about the real life sea creatures by touching their illustrated icon. 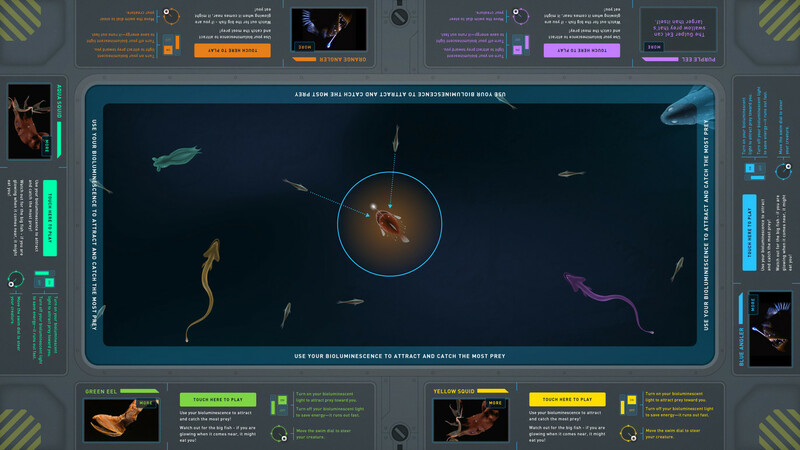 Each player must swim around and collect as much prey fish as possible by using their glow to attract the fish, and then avoid the large predator fish. Players have a limited amount of bioluminescent glow at any given time, so they must use it wisely. If a predator fish appears on the board and a players’ glow is on, they will attract the attention of the fish and get eaten. Once a player is eaten, their fish score count resets back to zero. The winner of the game is the player who catches the most prey fish.